These exquisite wine gifts will take your loved one’s taste buds on a journey around the world! 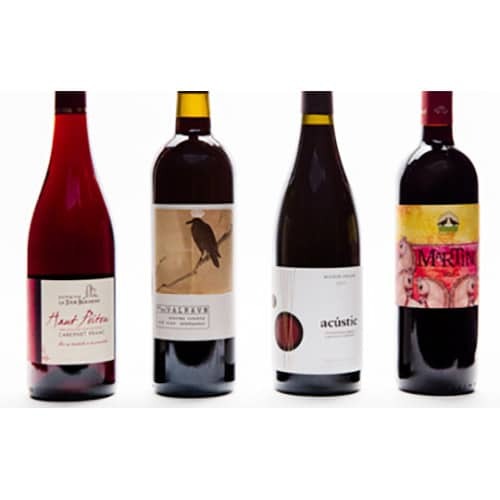 Wine gifts are a magnificent choice for those one of a kind, wine connoisseurs on your list. Featuring four fabulous bottles of intriguing wines crafted from some of the most talented boutique wineries around the globe, Plonk wine clubs offer your recipient the opportunity to experience organic, biodynamic, and limited-production wines without ever leaving home. Choose from wondrous whites, luscious reds, or a mixture of the two and provide your favorite wine lover with the wine adventure of a lifetime. Each sensational shipment of these extraordinary wine gifts includes fascinating recipe pairings and detailed tasting notes. As an added bonus, your recipient will also receive a professional grade-corkscrew with the first shipment and complimentary issues of Imbibe magazine! Choose from monthly shipments for three, six or 12 months and bring the unbelievable flavor of artisan wine from the world’s best boutiques to your loved one’s door throughout the year! Renew your membership and receive a FREE bottle of wine! I would get the Plonk 4-Bottle Wine Clubs for my dear friend Marla who loves to have a glass or two of wine each night.